Hey all! So I posted this picture on my instagram page and some people liked for a tutorial. 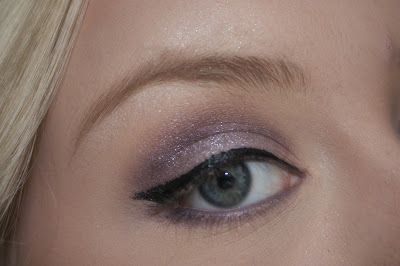 I'm going to break down this eye look so you can try this yourself. STEP 1: Apply Mary Kay's Mineral Eye Color in Silky Carmel with a fluffly crease brush. 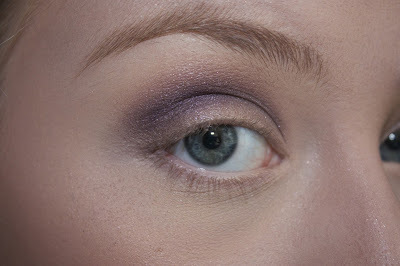 This purpose of applying this color is to just so the purple crease color blends a lot easier. You don't have to use this specific shade. You can use Mac's Soft Brown, Wet N Wild Brulee, or even your bronzer. 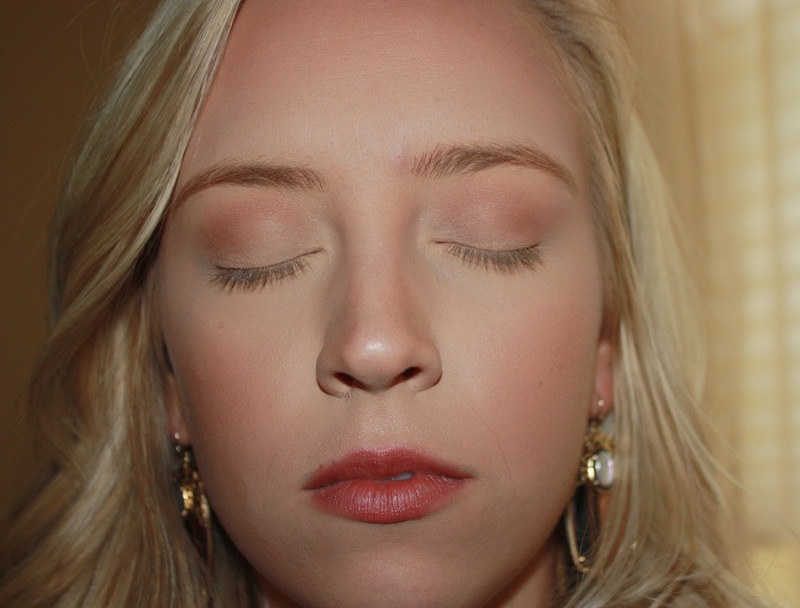 STEP 2: Apply Mary Kay's Mineral Eye Color in Granite from lash line to the crease of the eye. The picture above you can see the difference between the left eye that has Granite and the right one that doesn't. STEP 3: Apply Mary Kay Mineral Eye Color in Sweet Plum into the crease of the eye with a crease brush. STEP 4: Apply Mary Kay's Shimmer Mineral Eye Color in Shimmering Lilac to the eyelid in a patting motion with an eye shadow brush dampened with Mac's Fix +. You definitely don't have to use Fix + you can even use eye drops or water if you want. If you don't wet the brush or your finger before applying this shade you definitely will have a lot of fall out. STEP 5: Apply any black eye liner along the upper lash line to make the lashes appear thicker. I applied Maybelline's Precision Liquid Liner in Black and extended it a little to create a winged eye. Then, I applied Mary Kay's Eyeliner in Violet Ink (discontinued) to myw water line. 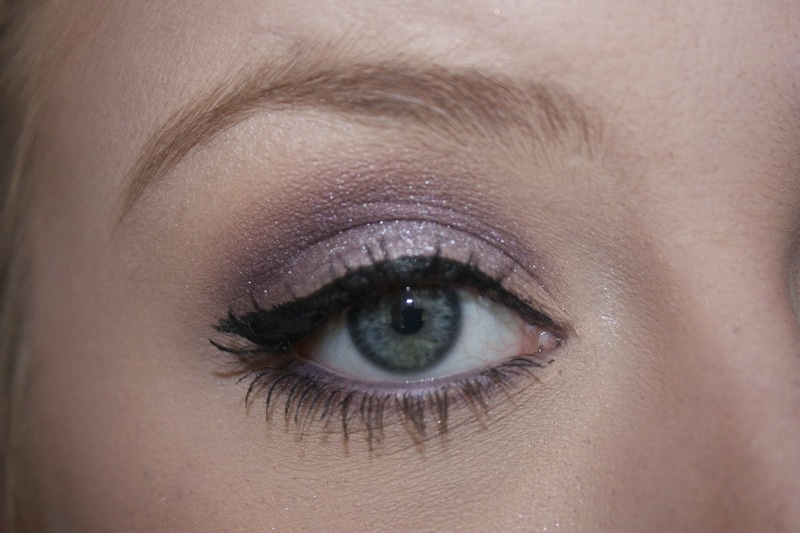 You can use any purple eyeliner for the lower lash line! I also added a little of the Sweet Plum shade I used in the crease and smudged some in the lower lash line. STEP 6: Apply any black mascara to accentuate your lashes and make them appear, longer and fuller. I used Covergirl's Clump Crusher Mascara. STEP 7: Apply an eye shadow to highlight the brow bone and the inner corners of the eye to make the eyes appear more lifted and tie the whole look together. I used MAC's Eye Shadow in Shroom. I really hope you like this tutorial! Let me know what you guys think with the comments below or tweet or instagram me.